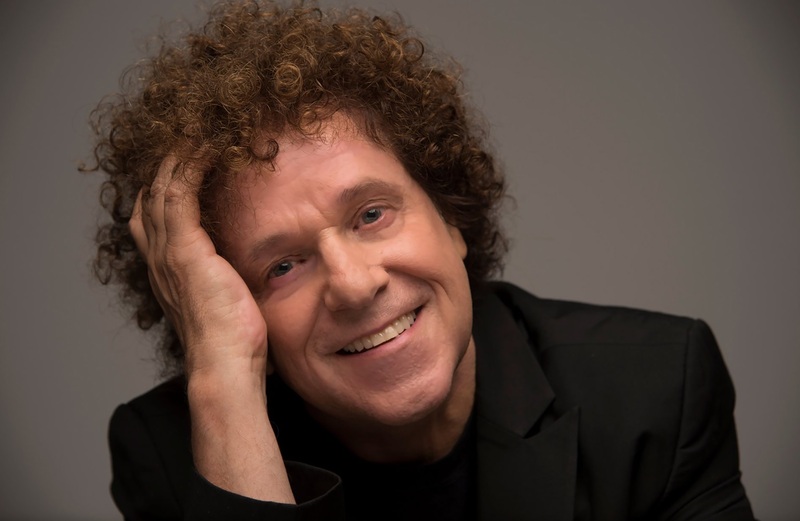 Leo Sayer began his music career co-writing songs with David Courtney, including Giving It All Away, which gave Roger Daltrey of The Who his first solo hit in 1973. He achieved fame with his second single, The Show Must Go On, which he performed on British TV wearing a pierrot costume and make-up. His first seven hit singles in the UK all reached the Top 10 and his career has spanned 45 years, selling more than 80 million records worldwide. Some of his biggest hits include You Make Me Feel Like Dancing, Thunder In My Heart, Moonlighting, One Man Band, I Can’t Stop Loving You and transatlantic number one, When I Need You. We caught up with the Grammy-award winner for a chat to discover the proudest moment of his career, how he gets started on writing a song and clamming up on his meeting with Paul McCartney. How did you get your stage name, Leo Sayer? I was born Gerard Hugh Sayer, but when I first met David Courtney in 1972, who discovered me after an audition, he thought I looked like a little lion because of my huge head of curly hair. Then my manager, Adam Faith’s, wife said the same, so they all started to call me Leo. I got used to it and changed my name to Leo for my first record. You’ve had so many memorable hits, but what’s your favourite to perform live? I enjoy performing them all, but I suppose my favourite is Giving It All Away. This was the song that Roger Daltrey, of The Who fame, performed and had a hit with on his first solo album in 1973. After that everybody wanted to know about me, the songwriter, so it was an important moment in my early career. The song is all about coming of age and I can still relate to it, as I haven’t entirely grown up yet. I’m proud every day, as getting to where I am now could be counted as an achievement in itself. It’s almost impossible to recall one moment as being bigger than all the others, but my first number one in America in 1976 with You Make Me Feel Like Dancing felt pretty special. Have you still got your Grammy Award and where do you keep it? Yes. It’s a bit broken up now and I keep meaning to get it fixed or replaced. It’s in my studio and the certificate is framed on the wall. Everything! The thought of being 70 and still doing this job makes me the happiest. Also I like the fact that my job makes everybody else happy. You are turning 70 this year. Are you planning to celebrate? It will have to be a quiet one as I’ll be in the middle of an Australian tour at the time, so probably a dinner with friends. Many, many times. When I first met Paul McCartney at a lunch it was very early on and just me, him and Adam Faith, who had set it up as a surprise. I was so blown away and I didn’t know what to say! He kept saying “Go on, ask me some advice”, and I just clammed up, so he said “I’ll give you some then…don’t cut your hair!”, so I didn’t. What can we expect from your performance at Potters on your one night UK break and what songs can we look forward to? All the hits and more. I love digging out some obscure songs every now and then too, but the biggest problem is fitting everything in, but I’ll do my best. Where do you get your energy when you perform live? You are incredible! Thanks. I guess I just love what I do and the adrenaline always takes over when I get up there. I have some wonderful fans too and they bring it out in me. How long does it take you to write a song and where do you start? It’s different every time. It could be the lyrics first, or it might be a melody. There’s no set formula and sometimes a finished song may come to me in a dream, or it could be a memory of an event in my life. It can take five minutes or a year to complete a song. I kind of like the unpredictability though. That I’m still a bit dyslexic and mix up left and right, and a lot of simple things can be a problem for me. What’s next for you and is there anything you’d still like to achieve? That’s a hard question. At my age I feel like I’ve done so much and burning ambitions seem to get put on the backburner. I reckon I can still create even better records and I’m still learning, so there’s a lot more you can expect from me. I look forward to surprising myself! Make sure you book your place on a UK short break at Potters and see Leo’s brilliant Potters debut on Sunday 23rd September 2018.